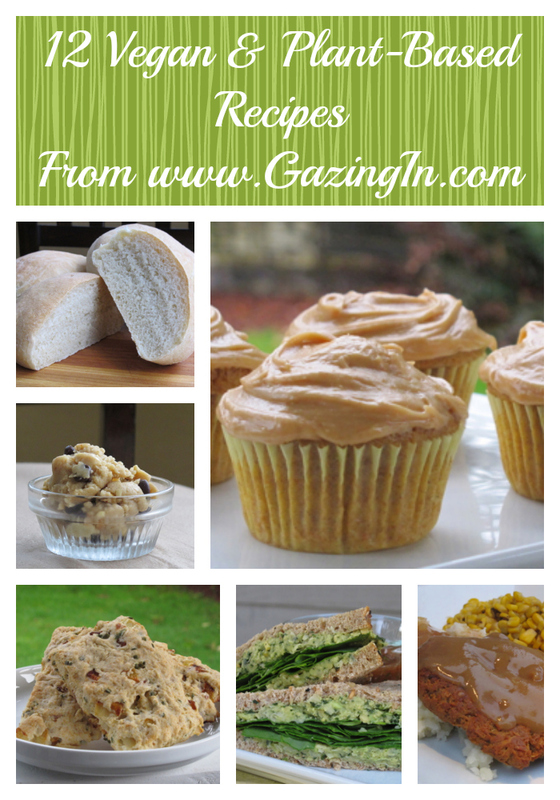 Recipe Recap: 12 Vegan Recipes You Might Have Missed! Early in 2012, I started making a lot more plant-based/vegan dishes than I had in 2011. Partly it was finally not being pregnant, I was craving healthy foods and could eat again. The readership of my blog took off mid-year, in May, where literally I had double the readership of the year before (and in 2011 it went up 4X what it had been in 2010!). Some of my favorite recipes though came earlier than that, so if you missed them, check ’em out! Lime Curd. I grew up on lemon curd and had always wanted to veganize it, and then I tried it with limes. Delicious! Butternut Squash Quinoa Pilaf. Bright and cheery for winter! Avocado Muffins. I loved these moist bites! Chickpea Cutlets smothered in Gravy, with Mashers and Corn. Comfort food all the way! Horchata. Apparently we are like the only people who order it at our local Mexican restaurant. The kitchen staff knows we are there due to that. Mine is better. And better for us! Savory Onion Biscuits. I love making soup and chowder, and there has to be biscuits served alongside! Chickpea Avocado Sammies. Yum. This is living! Little Rustic Loaves. What is better than rolls? Personal loaves of bread! Raw Peanut Butter Cookie Dough. I couldn’t stay out of this stuff when I was pregnant! Raw Chocolate Chip and Sugar Cookie Doughs. Apparently I craved a LOT of it. Cherry Corn Muffins. A new idea for breakfast! Gluten Free Coconut Biscuits and Chickpea Gravy. Delicious and worth the work! Oh, let’s get real! 12 recipes? Hah. Lets keep going! Pumpkin Pecan Cupcakes with Peanut Butter Frosting. Oinks. Sunflower and Sesame Bread served with Pea and Potato Soup. Warming comfort food for winter. Homemade Condensed Cream of Mushroom Soup. Use your favorite unsweetened non-dairy milk of choice. Coconut Macaroon Bars. These were for hiking and I’d make them again in a blink. I love the list! I did miss a lot of those but now I’ll know where to start. I’ve been a little lazy lately, mostly making the same things over and over. Now my mouth is watering and my tummy rumbling for some of these amazing looking dishes! Love the recap, thanks! Will have to try those Pumpkin Pecan Cupcakes with PB frosting. I’m drooling just typing those words out! Oh, I will! I need it! Feeling sluggish and weighed down is killing me…. Just need will power! A great way to catch up – thanks Sarah – these look great! Waw! Indeed, I missed a few tasty recipes here! I especially love your avocado & chickpea sandiwches, your avocado muffins & your savoury onion biscuits too! 🙂 Yummm! Thanks, I want to try all of these sooooon!! !